YuppTV is one of the world’s leading over-the-top (OTT) content players for South Asian Content, YuppTV is proud to announce the launch of its app with 200+ Live linear cable networks, 10 days of Catch-up TV and 5,000 Bollywood movie titles on the new Windows 10 Platform. 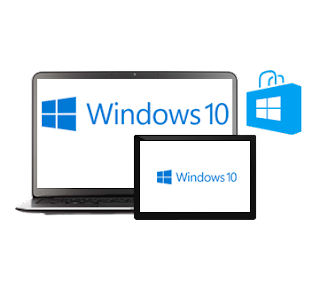 The YuppTV app is free to download from the Win 10 store and will be available globally on PCs and Tablets with Windows 10. The YuppTV App on Win 10 has a simple interface and is user friendly, making it easy to navigate by all age groups. With this App, users of Windows on PCs and Tablets can access YuppTVs incredibly vast offering of South Asian Content. They can view 200+ channels in 13 South Asian languages available worldwide, as Live TV, 10 days of revolutionary Catch-up TV and unlimited movies in different genres. The technologically advanced App with multi-bit rate feeds enables it to work well on virtually any broadband connection. YuppTV app will soon be coming up with the Digital Living Network Alliance (DLNA) feature which will allow the user to push the feed to TV or other devices that support DLNA. YuppTV is one of the world’s leading over-the-top (OTT) content player for South Asian Content, live TV, Catch-up TV, and Movie Solutions. The six-year-old company is one of the largest internet TV providers with its headquarters in Atlanta, GA, and having branch offices in the USA and India. YuppTV delivers more than 200+ TV Channels, Movies, and a lot more to the six screens for Video content consumption i.e. Connected TVs, Internet STBs, Smart Blu-ray players, Game Consoles, PCs, Smart Phones and Tablets.